What’s the current state of the retail industry? The answer to this question can vary, depending on who you ask. While some people are quick to lament about the death of retail, others stand firm on the belief that retail is alive and well. If you find yourself asking this very question, a good starting point would be to look at the most recent retail trends and data. It’s hard to argue with numbers, and having the right stats will give you an unbiased view of what’s really going on in retail today. Ready to get started? Here are 30 retail facts and stats to help you determine the current state of the industry. Most of these figures are from Vend’s Retail Benchmarks Report, but we sprinkled in some statistics from other sources as well. Note: All stats are from Vend, unless stated otherwise. 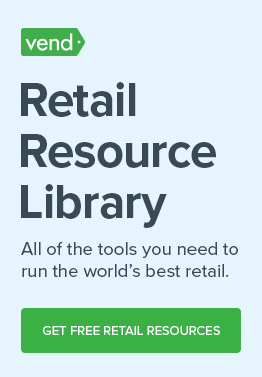 What’s the average monthly revenue of SMB retailers? 2. Looking at the data from a regional perspective, it looks like retailers from Australia and New Zealand made a bit more, with $26,395 and $26,475 respectively. 3. North American retailers made $22,430, while those in the UK had a monthly revenue of $19,223 per store. 4. Furniture retailers typically have the highest revenues — $39,572.67 per month. 5. Cosmetics stores, on the other hand, typically see an average of $18,644.19 revenues per month. What’s the average gross margin of SMB retailers? 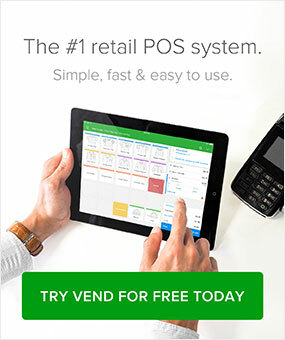 How many transactions do SMB retailers process per month? 8. The retailers in our study processed an average of 482 transactions per store each month. 9. Retailers in New Zealand processed the most number of sales with 603.03 monthly transactions per store. Not so far behind was the UK with 590.85 transactions, while Australian and North American retailers processed 506.09 and 429.41 monthly transactions respectively. What is the average transaction value in SMB retail? 12. How much was each transaction worth? According to our data, the average transaction value in retail is $53.98. 13. Australian retailers had the highest transaction value ($56.80) while retailers in the UK had the lowest ($40.65). 14. Furniture retailers had the highest transaction value ($248.42). They were followed by jewelry, luggage, and leather goods stores ($126.87) and shoe stores ($111.44). 15. Specialty food stores had the lowest transaction value with $22.88, followed by beer wine and liquor stores with $33.12. What is the average basket size in SMB retail? 16. We also looked at basket size, which is the number of items in each sale. On average, the retailers in our study had a basket size of 2.73. 17. Beverage manufacturers had the highest with 3.77 items, followed by specialty food retailers and alcoholic beverage stores with 3.71 and 3.39 respectively. 18. Shoe stores had the lowest basket size (1.54) followed by jewelry, luggage and leather goods (1.81) then fashion and accessories (1.97). How much does ecommerce account for in total retail sales? How many customers do SMB retailers have in their database? 20. Retailers had an average of 487.96 customers in their database. 21. North American retailers seemed to be the best at collecting customer information; they had an average of 606.28 customers in their database. On the other end are retailers in the UK, with 376.67. 22. Beauty and cosmetics retailers had the most number of customers in their database by a wide margin — 1,121.96. 23. On the low end were office supplies, stationery, and gift stores (284.62), beverage manufacturers (331.68) and speciality food stores (367.65). What do retailers plan to invest in for their stores? How do consumers conduct research before buying? Hope you found these facts and stats interesting? Did anything surprise you? Got others stats to add? Let us know!